Disorganized individuals often get stressed out. Are you one of them? If you are, then you probably encounter a lot of difficulties especially when you’re trying to look for something in your house. A disorganized house is very unpleasant to look at. Oftentimes, you will feel like you’re being torn in different directions. If you want to make some changes in your life and in turn solve some of your problems, then you need to look into mind mapping. Mind mapping for solving problems is used globally. Through mind mapping, you can easily address some of your life’s problems including that of your business and some personal projects. Mind maps can help any individual to become more organized and productive. Mind mapping is not new and in fact, it has been around for many years now. It was first introduced by Tony Buzan but according to some studies, mind maps have been used even before Buzan popularized it. Mind mapping allows individuals to visualize tasks or ideas that relate to one another. Ideas are organized instantly through mind maps, so why not try it out? Perhaps it’s the key to making your home and life organized. Those who have little kids may have already heard about mind mapping because teachers utilize it to help the children understand the various lessons in school. Aside from that, many businesses these days also use mind mapping in brainstorming sessions to generate new possibilities and business opportunities. If you have a project that needs immediate attention, you can also make use of mind mapping to complete it. You can simply write down your goals using lines, short words, drawings, and graphics. In no time at all, you can already see the solution to achieve your project. You can also use methods such as memory palaces, of which we’ll be writing in detail in one of our future posts. 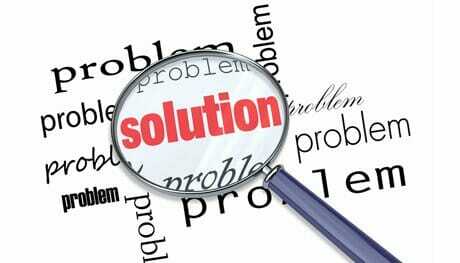 Why Mind mapping for solving problems? If you’re new to mind mapping, you can make use of some online tools. That way, you can familiarize yourself with all the aspects of mind mapping. As you can see, mind mapping is not as easy as you think especially for beginners. You have to learn the basics and you can do that by visiting mindmeister.com and openoffice.org; these sites can offer useful tools to help you create mind maps of your own. Start by creating your personal mind map. Create a diagram by using Notepad or WordPad programs. For instance, for your personal goals, you can write down vacation, date or family night, and your everyday household chores. For your health concerns, you can write down exercise, vitamins, water intake, and other healthy choices. If you’re currently managing your own business, you can include a website, affiliate, newsletter, and articles. Once you listed these things, you can start creating your mind maps. Choose the central topic or goal and the other minor objectives or goals can branch out from the main goal. For example, you live in a country where Amazon doesn’t deliver. By using mind maps, you will promptly find out that the problem is not having an American shipping address rather than something personal. Continue drawing until you’ve included everything on your list. After that, you can already picture how you’re going to prioritize the different aspects of your life. That is the start of a more organized life. Goals can be planned and acted upon appropriately through mind mapping. Gather information resources about mind maps and start creating your own. Mind maps can make your life much easier. You will become organized in no time and you will also be more productive whether at home or in your business. Solve your problems now, use mind maps to end your misery.